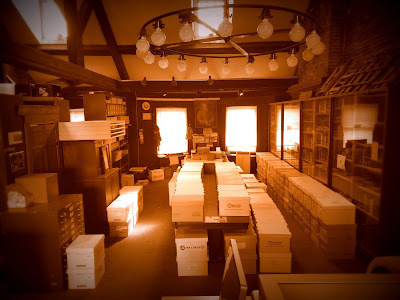 In my last post I challenged all you Archivists out there to accession one sad, lonely backlogged collection or item that had been sitting around forever on the day of your choice: a day special to you like a birthday, anniversary or other significant date. I did this in my own Archives back on January 4th, National Spaghetti Day, because I love all pasta and I think the papers’ creator would approve. And for good measure, it also happened to be Doris Kearns Goodwin’s birthday, and the day the Spirit rover landed on Mars in 2004. These papers weren’t sitting around for that long, per se. They were actually waiting for me when my Archives moved to their new home in October. There are plenty of other things to be accessioned, but this group of papers was small, in desperate need of rehousing, and full of fascinating stuff. The only challenge is that they contained several files full of PHI and other potentially sensitive information, and that means: RESTRICTED! Aww, rats! You may be familiar with the term PHI, which crops up in places like healthcare, insurance, human resources, scientific studies, finance, tech, and (surprise!) archives and information management! The rules, regulations and laws around this concept alone can be daunting (and it has an additional cascading list of related acronyms to make your head spin even more). How does it relate to my collections? Do I have to restrict anything and everything that holds even one data type falling under PHI, even if it dates from decades ago? Let’s look at the questions through the lense of this case, shall we? Hopefully it will make some aspects of PHI less head-spinny! Protected Health Information (PHI) is that thing we associate with healthcare, medical records privacy, insurance providers, and those little placards in hospital elevators reminding personnel not to discuss their patients. It is most closely associated with the acronym HIPAA, the Health Insurance Portability and Accountability Act. It was passed into law in 1996 (and was updated in 2013) to protect private health information among “covered entities” like health plans, health care clearinghouses, and health care providers. Archives attached to these covered entities naturally find it easy to take guidance from the rules. I worked in a hospital archives for four years and the policy on granting access to collections was blessedly black and white under HIPAA. But what about the rest of us? Overlapping with my work in the hospital archives, I’ve worked for an environmental conservation and outdoor recreation non-profit for the last fourteen years and we are not a covered entity. But we make a lot of paperwork that contains PHI. All the time, in fact. Our organization works with volunteers, regular staff, seasonal staff, and outdoor trip participants in places that are both fairly tame and often wild and far out in the woods. To help keep our people safe and be prepared should they need medical attention, we keep a ton of medical questionnaires on file. Fortunately for me, these contemporary files are kept for a very specific number of years before being shredded. However, the collection I recently accessioned is full of things that snuck through undetected and no one ever bothered to weed them out back when they were created in the late 1930s and early 40s! Yipes! The set of records on hand is made up of employee files from seasonal work in the mountains. They consist not only of paper applications to work, but a required cover letter explaining why one would want the job, and subsequent correspondence to and from the manager about the work. Additionally, there are medical questionnaires, filled out by a physician who examined each applicant. And these are where the PHI regulations really kick in. Had the forms been filled out by the applicant or anyone other than a physician, they would fall into a gray area since the form-filler was not a “covered entity.” But because medical professionals are covered under HIPAA rules, even if it predates the law, these forms are restricted. For how long? Technically for fifty years after the death of the person on the form! Do I know if these hundred or so individuals are deceased? Well, some of them, yes. But these were boys all coming of age around World War II and those who did not die in the fight or pass away already are still kicking around. In fact, I met one recently (a nonagenarian now) who had worked in the huts in the 1940s, and he is fascinating! Should these forms have been destroyed back in the 1940s after these fellas were no longer employed? You betcha! Additionally, they are but a small piece of other, non-restricted materials in the collection that reflect what it was like to be hired and work in the huts during that time period. In this case the options are to securely destroy them, or just restrict those particular files until none of the applicants could possibly still be alive in, say, 2086? What would you do in your Archives? Also, what interesting thing did you accession, what special day did you choose, and what awesome things did you find? Share in the comments below! And hey! Conference season is coming up! Need some swag to distinguish yourself? Visit my design shop on Zazzle and pick up a cool button, tote, travel mug or other item with this or another neat-o design!